Being positive and patient will pay off! Here is a sampling of some of the skills and commands that are taught in class or at a private appointment. I am so excited and I really want to share this story with you about Mila! I have been using the 20-ft leash with Mila to allow her a little more time to explore our yard outside of her run area by hooking the other end onto my beltloops while I walk around (it's also been a great way to practice "follow me"). So this evening I was walking her around and stopped to look at some berry bushes. Mila kept walking and was staring very intently at something in the yard. All I said was "Mila, wait" - I didn't even look at her or clap my hands - and she came right over and stood next to me...and waited. I was so proud of her and just wanted to share it with you! Thank you for this valuable command!!!! 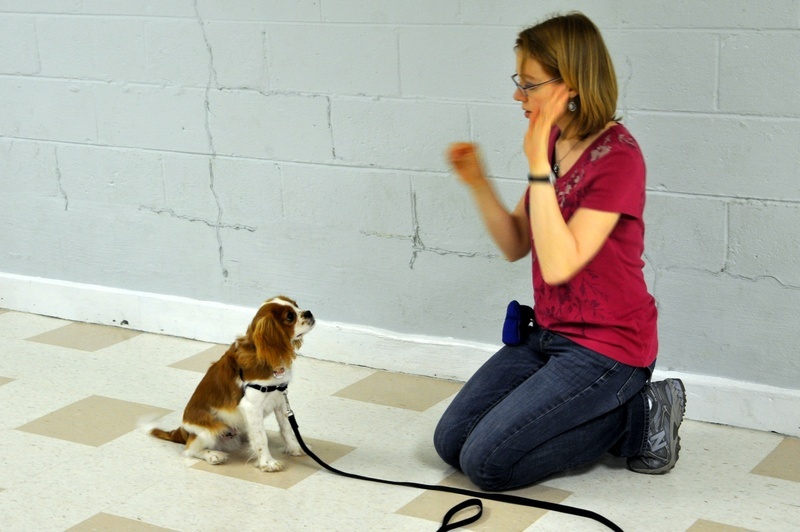 You will learn how to communicate with your dog non-verbally. This is Jessica using hand signals with her dog, Cody. 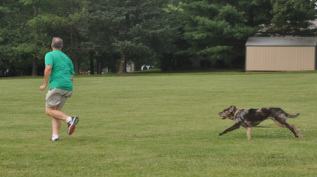 Dogs have a natural chase instinct which is a good starting point to teach your dog the come command. Your dog has to know that coming when called is his best option. There is a proper way to greet a dog. We practice how to handle these situations. 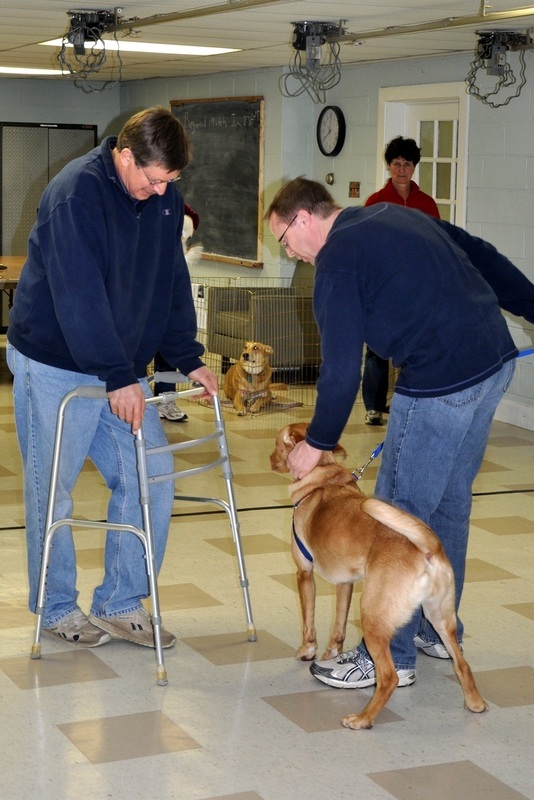 This is Tom with J.P. meeting a person using a walker. 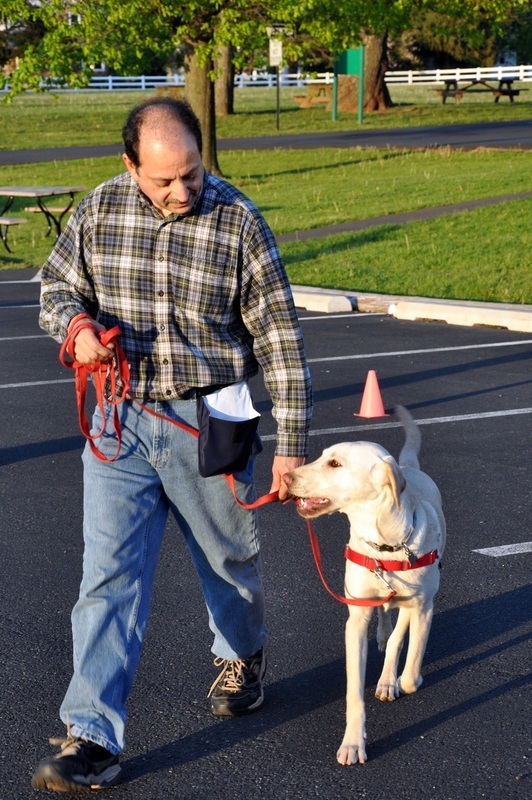 Teaching your dog to stay is mostly about safety! This is Scott working on stay with Bentley. Ask your dog to lay down and stay down until you release him. This is Debbie and her dog Bruno who is down and waiting for the signal to be released. Does your dog bolt out the door and run away? This is Lynn working on this technique with Maddie. 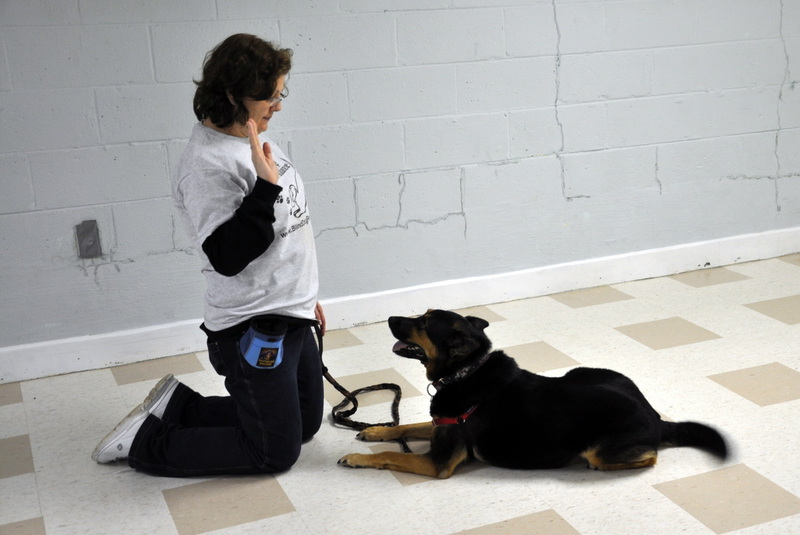 Heeling your dog is asking your dog to pay attention to you at all times. 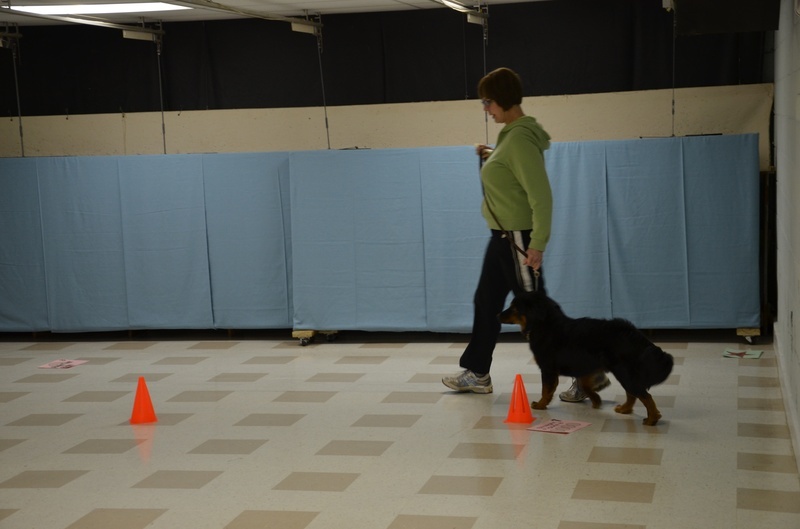 This is Linda heeling her dog Moses through figure 8 cones. 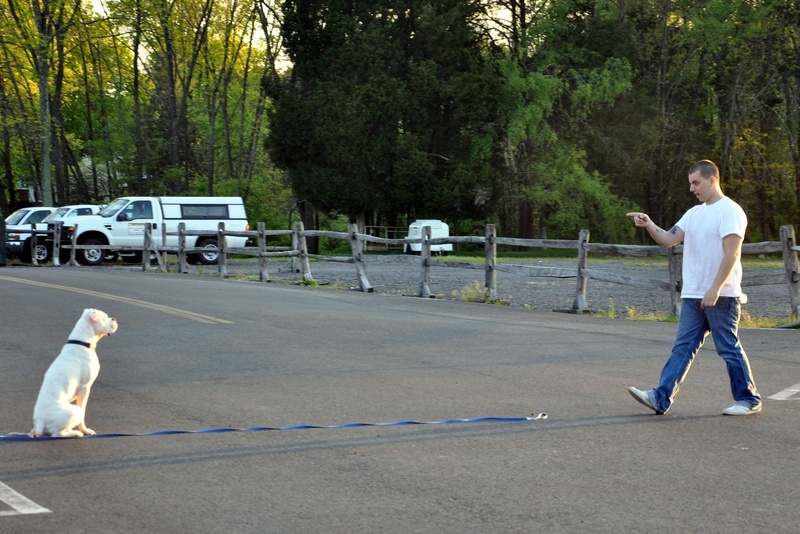 Walking your dog on a loose leash is the way to go! Keeping it tight does not give you more control over your dog. This is Joe and his dog Enzo. This is Jiggs demonstrating the place command at home, which he learned in class.